Here is a viral story of a civil servant in Kebbi state whose salary was reduced to N5000 from N18000. He was said to have collapsed on hearing the sad news. 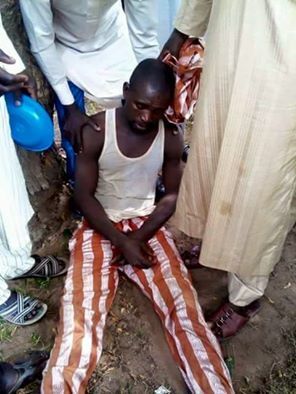 This reportedly happened in Ngaski Local Government Council area of Kebbi State. The Nigerian Labour Congress has described the report as ridiculous. How can this happen in a democratic society? Receession palava! Please take heart, it is well O’dear! Ridiculous or not, the story is faint-inducing!!! Even me hearing it second-hand on this page ,I felt faint and had to drink water before commenting!!!! Eighteen Thousand Naira iper month is disheartening enough, then someone unleashed this wicked practical joke, it is a joke right ?????? Don’t make such joke in these hard times for it is not funny, and I am sure it is not only I and the collapsed man that are not laughing o! THIS IS more than enough to make even make somebody slump and die, especially now that the country is at its lowest economic ebb. Chai! What the poor suffer! 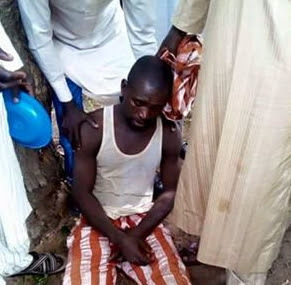 This man is possibly owing some people on the N18,000 because that money is not even enough in the first place. Now we are talking about N5,000! Chai. The God of the poor, please remember your people! 18,000 not enough 4 the first place,not to say 5,000 naira.God,useless country, many few Head of Govt, steal billions, walk free nothing happen, poor man salary 5,000 naira,and u say no robbers e.t.c. This is sad!!! Its enough to make the man so many times and cross to the other side. N18,000, that is not enough is bn slashed again. Hmmm, did I hear anybody say said baba again? Mchew!